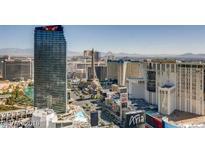 Find Highrise Condominiums, NV Condos for sale. View Photos, Maps and MLS Data Now! Endless helpful amenities include fitness center, BBQ area, pool, 24 hours security & more! MLS#2090703. Orange Realty Group LLC. Turnberry Towers - THIS RESIDENCE IS A RARE FIND w/ TWO ASSIGNED PARKING SPOTS + VALET PARKING & ASSIGNED STORAGE!!! READY FOR IMMEDIATE OCCUPANCY!! ! MLS#2090393. Award Realty. Fully furnished with king bed, sleeper sofa, 2 tvs, rainfall shower, jetted tub, and kitchen w stainless appliances MLS#2088188. Livello Realty. Tenant to pay for all utilities (air-con, heat, water, trash and sewer) Bosch SST kitchen appliances. MLS#2089006. Vegas 99 Realty. Large two bedroom 3 bath features two en-suite bedrooms, new paint and carpet throughout. MLS#2089288. Simply Vegas. 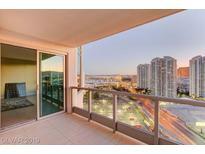 Fantastic Buy & Best High Rise Value! ! MLS#2090177. Award Realty. Minutes From Downtown, Art District, Smiths Center, Live/Work/Play! Beautiful View. MLS#2089915. Vegas Living Realty and Manage. 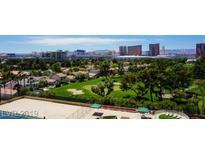 Turnberry Place - Limo,Concierge,Pool, Exercise Room,Guard-Gated. Incl. 3 parking spots MLS#2089961. Wardley Real Estate. 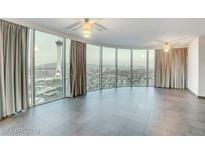 Turnberry Towers - This 2 Bedroom On The 39th Floor Is A Absolute Delight. MLS#2089950. Genesis Realty Group. 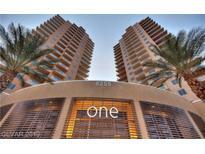 One Las Vegas - Excellent 24-hour amenities, including fitness center, pool, and business center. MLS#2088663. Synergy Sothebys Int'l Realty. Photos Are Model Match Same Stack, Layout & Floor Plan. MLS#2089864. Award Realty. Platinum Resort Condo - Building amenities include concierge, valet, pool, spa, business center, exercise room and it's just moments away from the Las Vegas Strip. MLS#2089562. Rossum Realty Unlimited. Turnberry Mgm Grand Towers - Granite Counters, Plasma TV's, custom cabinetry connected to the MGM Grand with unlimited entertainment and restaurants with access to MGM amenities such as pool/spa, gym, valet parking, concierge. MLS#2086418. Simply Vegas. Panorama Towers - Charleston Mountain Range from all living areas, including both bedrooms. MUST SEE! ! MLS#2089541. Proximity Capital. Veer Towers is a resident only building with resort-style amenities including 24/7 security, concierge, rooftop pool, fitness center, full service valet and more! MLS#2089631. Luxury Estates International. Meridian At Hughes Center - The property comes Fully Furnished and most personal property stays. MLS#2089619. Simply Vegas. Amenities Include Guard Gate, Valet, Concierge & More! MLS#2086682. LUXE Estates & Lifestyles LLC. 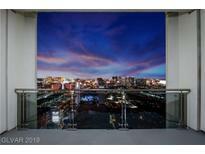 Panorama Towers 2 - Adjacent the world famous Las Vegas Strip, this community offers its residents a variety of amenities, including concierge services, access to a world class fitness center, 24/7 valet and even complimentary limo services. MLS#2088776. Foster Realty. Don't Miss Out On This Luxury Living Opportunity! MLS#2089030. Signature Real Estate Group. One Las Vegas - Mstr bath w/ sep soaking tub & shower w/ frameless enclosure. MLS#2088971. Northcap Commercial. Juhl - Beautiful amenities, 2 story fit center, beautiful swim/sun deck, outdoor screening room, Vino deck. MLS#2088988. Northcap Commercial. One Las Vegas - First class 24 hour amenities at your fingertips, 2 story fitness, resort style pool, business center, much more! MLS#2088969. Northcap Commercial. Gated, Concierge, Valet, Limo Service and Much More. MLS#2088941. Luxury Estates International. Turnberry Towers - Enjoy The Resort Style Amenities. Seller Financng Available! ! MLS#2089055. Award Realty. This Residence has it all & MORE! A BUYERS HIGH RISE DREAM! MLS#2087640. Mahsheed Real Estate LLC.